Alpha Landscapes has a wide range of experience working with Homebuilders on Master Planned Communities, Streetscapes and Custom Homes. 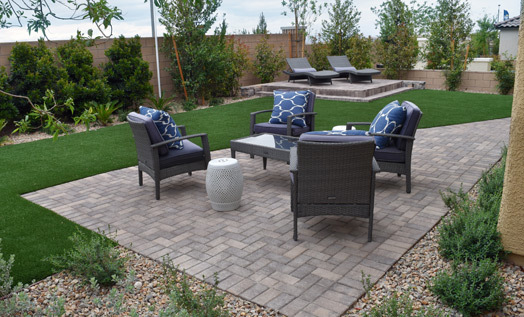 Alpha Landscapes is a licensed installation company for pavers and concrete. We are able to give your project the unique look you want. Alpha Landscapes can provide you with every amenity needed for your park or playground site. 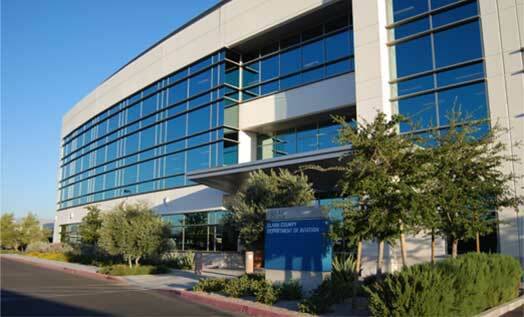 Consulting, design, installation and project supervision are just some of the many services we provide. 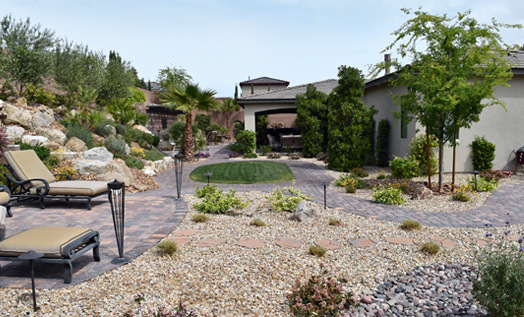 Alpha Landscapes has experience in installation of landscapes from large commercial centers, Master Planned community parks and streetscapes to custom yards ranging from the basic production yards to showcase homes. 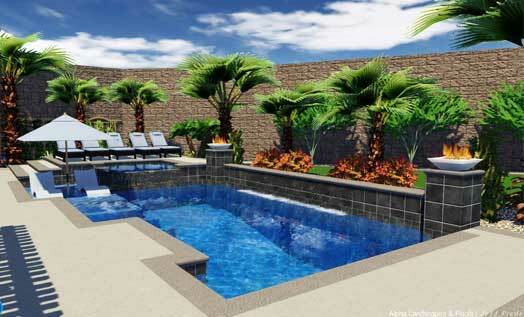 Alpha Landscapes offers the finest in 2-D auto CAD and 3-D Pool Studio design. We offer a licensed and registered landscape architect for those projects that require the wet stamp for your custom home and commercial projects. It can be a challenge to maintain an attractive landscape that adds value to your community while keeping costs within budget. 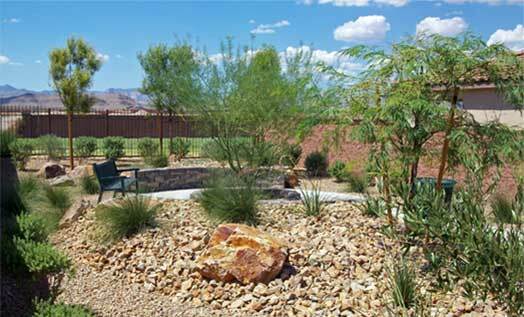 Alpha Landscapes can provide you with solutions that will help you manage your landscape costs. At Alpha Landscapes we have the experience, knowledge and the equipment to handle large commercial projects. 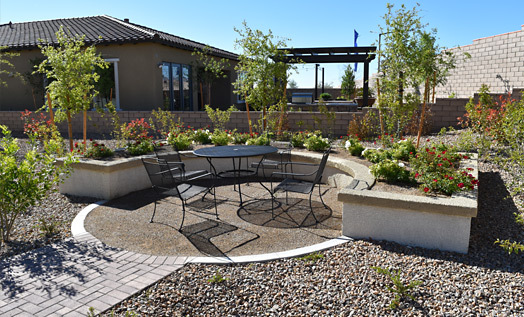 Alpha Landscapes has designed and installed numerous landscapes from large commercial centers, Master Planned Community parks and streetscapes in the Las Vegas Valley. 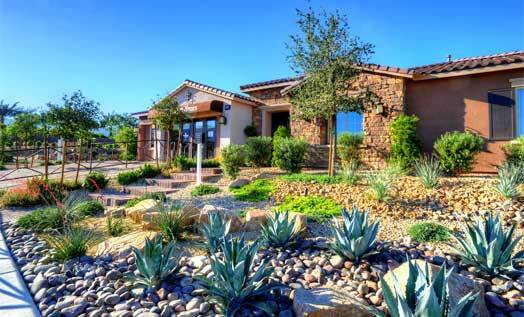 Alpha Landscapes is now able to give you the yard of your dreams. 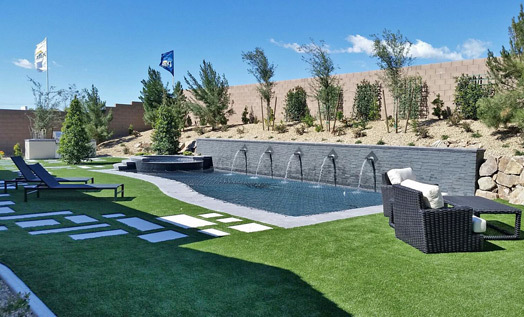 Our pool specialist has been working in the Las Vegas Valley since 1996 and has built hundreds of exceptional custom pools and spas. Let us make your yard exceptional. 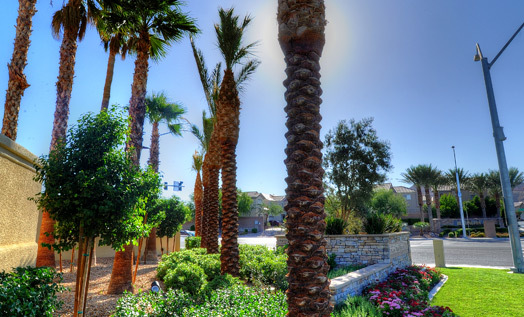 Alpha Landscapes has experience in installation of landscapes from large commercial centers, Master Planned community parks and streetscapes to custom yards ranging from the basic production yards to showcase homes. If you can dream it, we can build it. With Alpha Landscapes you can perform all your landscaping and hardscaping components with one company. We specialize in hardscaping and all types of masonry work: Stone, Specialty Concrete, Pavers, Retaining Walls, Special Water Features. 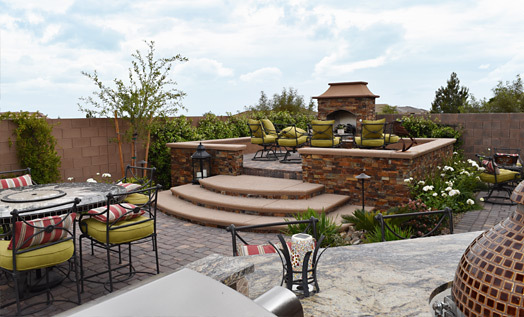 To make your outdoor living space truly functional, we are able to provide a wide range of options. 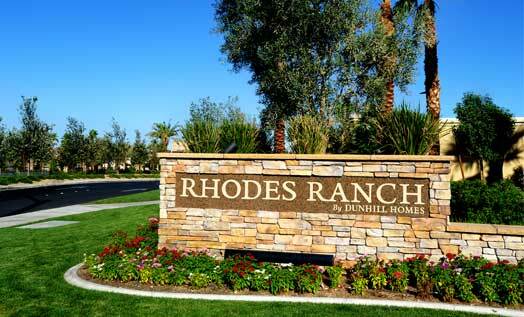 These include: outdoor kitchens / BBQ islands, shade structures and fire pits. 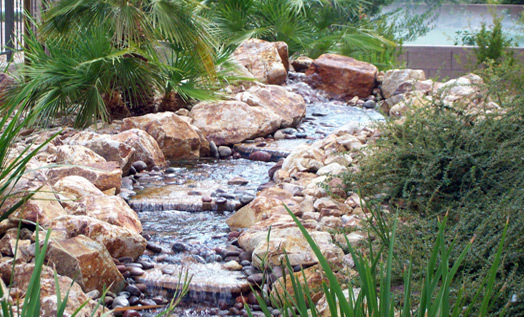 Water features such as waterfalls, ponds and fountains add beauty and traquility to your backyard. 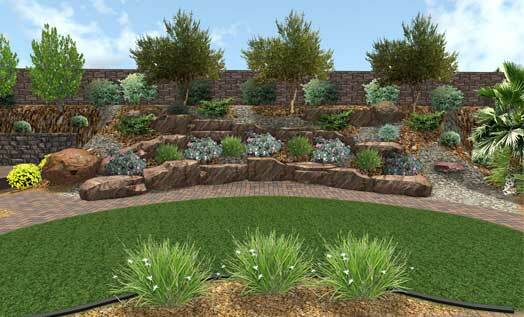 We are highly trained and licensed to install such features to complement your landscaping. 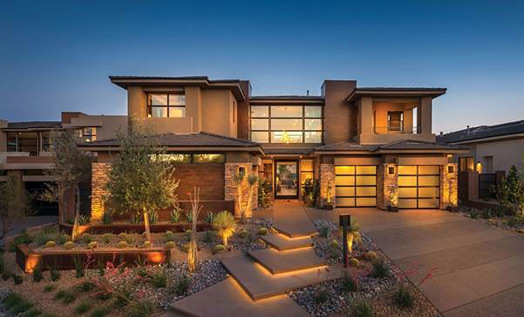 One of the best ways to make your home safer and to highlight architectural features and landscaping is to install low voltage outdoor lights. It also increases your enjoyment of outdoor living spaces. Low voltage lighting systems are shockless and safe for use around children and pets. Alpha Landscapes offers full renovation for pools, spas and landscapes. Some home owners have purchased or already live in homes that may require a new look or personality. We can help with that transformation. 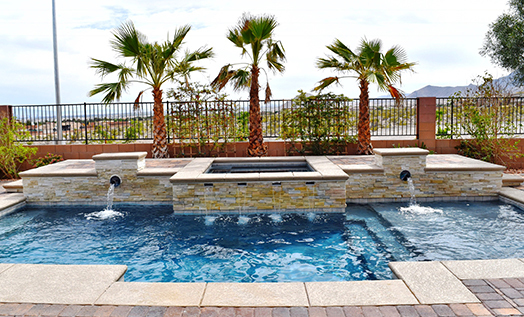 We can change any pool or landscape to fit any needs or tastes that you desire. Our creative design consultants have the experience it takes to give your home a new look. 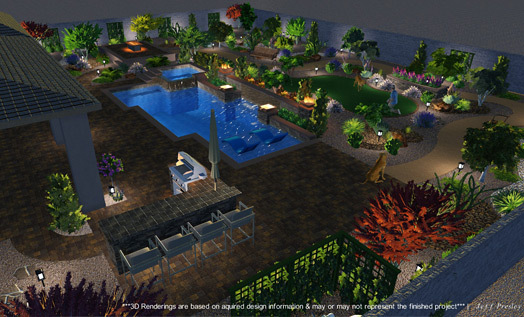 Alpha Landscapes offers the finest in 2-D auto CAD and 3-D Pool Studio design. Our 3-D Pool Studio is a fully animated visual effects design service that brings your home and yard to life at the click of a button. It is truly a must see. Ask your design consultant for information on Pool Studio. We offer a licensed and registered landscape architect for those projects that require the wet stamp for your custom home and commercial projects. C10 Lic. #0077081 Landscape. Bid Limit $1,500,000. A-10 Lic. #0077089 Pools. Bid Limit $200,000. C18 Lic. #0077082 Masonry. Bid Limit $200,000. C5 Lic. #0077080 Concrete. Bid Limit $200,000. C10 Lic. #0077081 Landscape. Bid Limit $1,500,000. A-10 Lic. #0077089 Pools. Bid Limit $200,000. C18 Lic. #0077082 Masonry. Bid Limit $200,000. C5 Lic. #0077080 Concrete. Bid Limit $200,000.